Mel Millis's award-winning British firm could not miss BIOSPLENDOR. 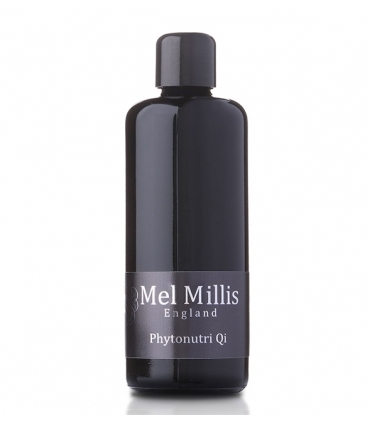 Because we have the best, and is that Mel Millis is one of those great professionals who only uses in its luxurious formulations 100% natural and 100% organic ingredients, extracting among its many combinations the most essential phytonutrients so that our skin can feel them and radiate Youth, health and beauty. It is a firm that works in harmony with nature and, its only science, the heart of the English countryside surrounded by meadows laden with wild flowers and lavender. From there, they prepare to extract all the purest extracts and rich in organic ingredients of a great variety of plants studiously selected by its qualities for the skin. They are the ones who can best restore their beauty, longevity and health. Not just physically. Its essences and aromas besides the therapeutic properties are a balm for the senses and the emotions. Applied externally produce inner well-being. 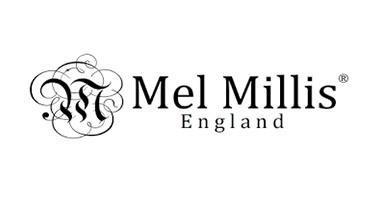 Tracey Lily Foy is the great founder of Mel Millis. A true passionate nature and her science, who, starting her life as a ballet dancer, and after leaving everything and traveling in 7 countries, 2 continents and work 6 years in the organic industry, finally culminated the search in ambition To complete an exhaustive training in phytotherapy studies. For Lily, it is necessary to look for a perfect balance between the negative and postivios aspects of our body through all that the energy of the plants can provide us, the circulation of the energy of the life. "Reenergizing, revitalizing, balancing. It forms the basis of our skin care, with the well-being at its core ". 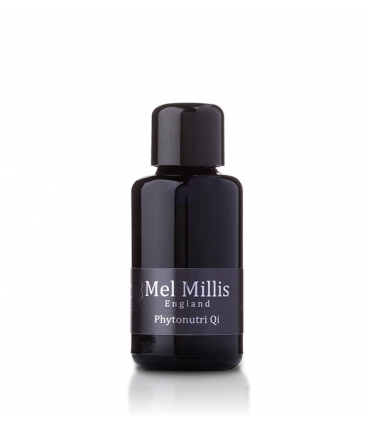 The ingredients used are through whole organic plants, are certified and are bioactive. 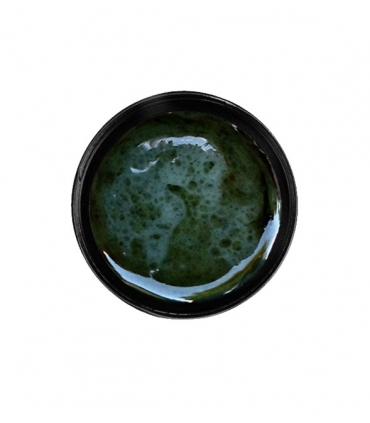 Its plant nutrients take advantage of the purest way without impacting on the environment. They are harvested sustainably as far and near the Arctic as the Atlantic. His passion for nature does not compromise on luxury. Its precious dark glass bottles of midnight violet protect its precious contents from sunlight. Their cute little boxes are made from wild seeds. They are biodegradable and can be ripped and planted in pots or on the ground to see their beautiful wild flowers grow. Its philosophy is based on a word FRESH (Formulated to Reduce the Exposure of our Skin to Harmful chemicals). What would come to say "formulated to reduce the exposure of our skin to harmful chemicals". Its entire line does not contain parabens, petrochemicals, artificial fragrances, synthetic ingredients, artificial colors, phthalates, formaldehydes, TEA, DEA, mineral oils, palm oil, or GMO. 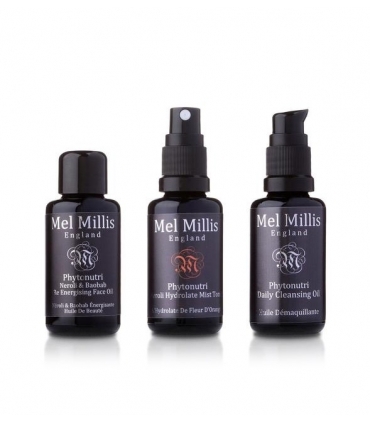 They are free of alcohol, are CRUELTY-FREE, and suitable for VEGANOS (except the MM Face Peel as it contains honey). The results of its products are exceptional thanks to its completely organic origin and its purity. Award winning moisturizing oil, winner of the Janey Loves Platinum Award 2014, for a more supple, smooth, smooth and firm skin. We love the minisizes packs because they are the perfect way to try all the best-selling products of the brand at an irresistible price. Ideal to take them on a trip or as a fantastic gift. It has been proven in the purest essences of nature, promotes skin with a high ratio of bio-organic enzymes, peptides and beta-carotenes, achieving a high level of protection. Soft, moisturized, glowing skin with no wrinkles! Luxurious balancing moisturizing oil of roses that moisturizes and nourishes the most demanding, dry, irritated and sensitive skins. Calm, soften and balance your face.